When interacting with UIs, a lot of the animations you will see won't be of the CSS animation kind with their predefined keyframes. They will instead be reactions to the things you are doing. Examples of such reactions include a link underlining when you hover it, a menu flying in when you tap on a button, a text element getting bigger when it has focus, and a billion other things. For animating these kinds of situations, you have what are known as CSS Transitions. When you hover over the hexagon image, notice what happens. The image smoothly scales up and rotates when your mouse cursor is over it. It then smoothly scales and rotates back to its original state when your mouse cursor goes elsewhere. All of this is made possible thanks to the magic of CSS transitions, and in the following sections, we are going to learn the basics of how to use them. All we are doing is specifying a style rule that activates on hover (thanks to the hover pseudoselector). We set the transform property and call the scale3d and rotate functions that are responsible for scaling and rotating our hexagon image. Once you've added this CSS, go ahead and preview this page in your browser and hover over the hexagon image. When you hover over it, you'll see that the image scales and rotates as expected. The only problem is that the scaling and rotating is not smooth and animated. The change is jarringly sudden! After you've added this style rule, preview your page again! 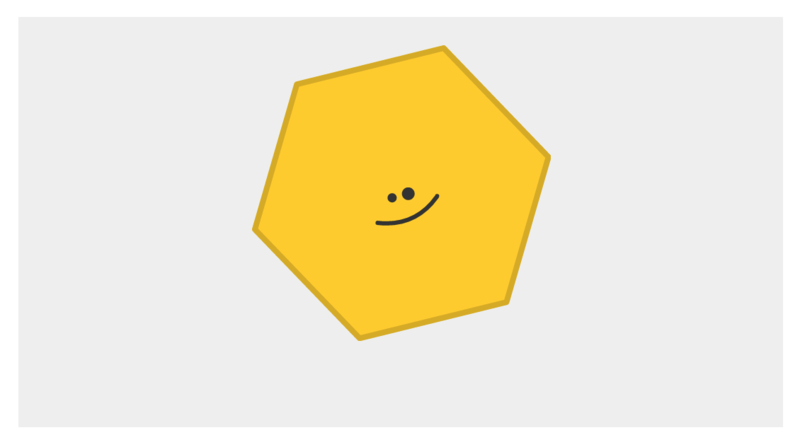 This time, when you hover over your hexagon image, you'll see that it smoothly scales and rotates into place. W00t!!! In the previous section, we recreated the example we saw at the beginning by writing (or copying/pasting!) some HTML and CSS. The end result was a hexagon image that scaled and rotated with a sweet transition when you hovered over it. The secret sauce that made our transition work is the very appropriately named transition property. The CSS property we want our transition to listen for changes on. You can use the keyword all if you don't want to listen to all property changes! How long the transition will run. Our scale3d value goes from the default (1, 1, 1) to (1.2, 1.2, 1). Our rotate value goes from the default 0deg to 45deg. The CSS transition takes care of figuring out those intermediate, interpolated values to create the smooth animation you see over .1 seconds. The property names should be pretty self-explanatory. You specify the property you want your transition to act on with the transition-property property (or use a value of all to listen for all changes). You can set the transition-duration property to specify how long the transition will run. There are more transition-related properties that we'll need to know more about, but we'll deal with them later! What we have just done is learn the basics of how to define a simple CSS transition. Just knowing how to define a CSS transition by specifying the property to listen to and the transition duration will take you pretty far. But, that's not good enough! 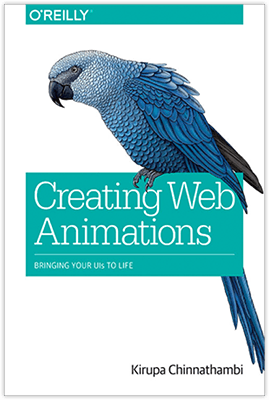 For creating the kinds of more realistic animations that your UIs deserve and your users expect, there is actually a whole lot more for us to cover. We'll do all of that in subsequent tutorials.